Patriotic Front Kabwata Member of Parliament Given Lubinda has challenged opposition United Party for National Development (UPND) deputy Secretary General Kuchunga Simusamba to go ahead and spill the beans on the conversation he is claiming he had with Mr. Lubinda at Parliament motel during the time he served as Foreign Affairs Minister. This follows threats by Simusamba to expose Mr. Lubinda’s alleged treacherous behavior if he continues attacking the UPND. Mr. Lubinda says he is not going to entertain any kind of chip threats such as those coming from Mr Simusamba. He states that when he said he wanted to engage in clean and intelligent debate he meant just that. Mr Lubinda says his political carrier has been an illustrious political carrier of intelligent debates, devoid of personal attacks and personal vendettas and insults. Mr. Lubinda has reminded Mr Simusamba that he is not a chip politician who can be intimidated by anyone and has since challenged him to come out in the open and tell the nation what he thinks is true. 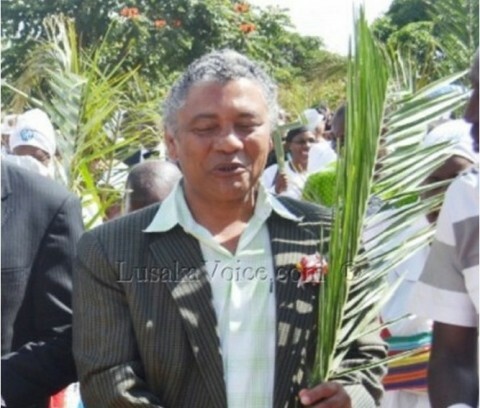 And Mr. Lubinda says he will continue to be issue based in his debates. He says he will not use vulgar language against Mr Simusamba despite knowing a lot about him.